ACF Brescia announces that Milena Bertolini is the new coach of the first biancoblu team. 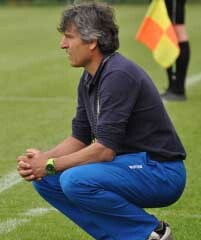 Correggio's trainer after 7 years at Reggiana and a sabbatical year returns to a Serie A bench. She and her staff are the biggest "good luck" by all the components of the Women's Brescia. The new technician will be presented to the press the first week of July. Enthusiastic at the beginning of this new adventure, Milena Bertolini commented on her choice: "I took a year off after many intense seasons at Reggiana to go back to studying and updating myself. CONSENSUS RESOLUTION BETWEEN KECI AND BRESCIA. IN MOUTH TO THE LUPO MIRO! Acf Brescia announces that it has resolved by mutual consent the relationship of collaboration with Saimir Keci, formerly coach of the Primavera and the First Team. The company wishes to thank "Miro" for the demonstrated professionalism and commitment during these wonderful five years lived at Brescia, with prestigious victories both with the Primavera team and with the first team. 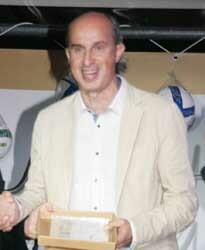 The President Cesari expresses to Keci, his greatest good luck: "I would like to thank Miro Keci for the work done in these years with professionalism, seriousness and dedication, the skills that led me to choose the man to drive the first team in a delicate moment, no one can cancel the emotions he gave us as those experienced in the incredible victory of Ostia, he gave all the fans and the Brescia Women's family indescribable moments that will remain in the company's history. to the man, to the friend and to the coach, a bright future and all the professional successes it deserves. " Match performance at the Menti: The Verona of young people succumbs to Atletico Madrid 4-2. 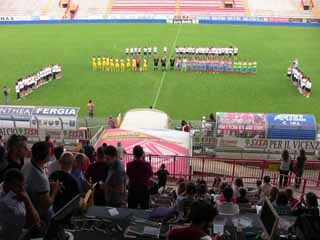 The glorious Stadio Menti in Vicenza has opened its doors to women's football for a match between Verona and Atletico Madrid at the conclusion of the prestigious Coppa Città di Vicenza. Over seven hundred spectators rushed to watch the end of the season match between the Gialloblù Panerai d'Oro Longega and the white - red Madrid. Both teams appear in the field with many young people able to give life to an interesting match full of technical ideas. Read more: Match performance at the Menti: The Verona of young people succumbs to Atletico Madrid 4-2. Saturday 9 June, during the work of the first day of the now usual appointment with the update seminar reserved for technicians operating at the national championships organized by the FIGC Division for Women's Football, at the Federal Technical Center of Coverciano, the Gotha of the female soccer coaches. 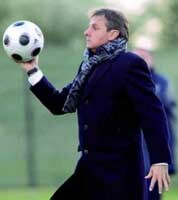 The ACF FIRENZE ASD Company officially announces that Mario Nicoli will not be the coach of the first team in the upcoming 2012 / 2013 season. On this occasion, he thanked Mario Nicoli for his work as a coach during these nine years and for the prestigious results achieved both with the youth sector and with the first team. The decision was made by mutual agreement yesterday after a meeting between the parties. The gialloblù win derby and Coppa Vicenza. He took the field with a training packed with young people, Verona won the City of Vicenza Cup beating without difficulty the white-red hosts in the final disputed in the capital of the Berici. 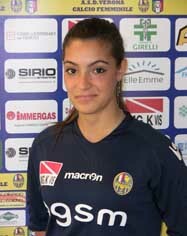 The Gialloblù closed the match already in the first fraction with four goals signed by Michela Ledri (who also fails the transformation of a penalty kick), Cristiana Girelli (two goals), and Beatrice De Stefano. In the second half a good Vicenza shortens the distances with the Lotto and Pasqualato markings. Girelli fixed the final result on the five to two in favor of the scaligere scoring the goal of the personal hat-trick. 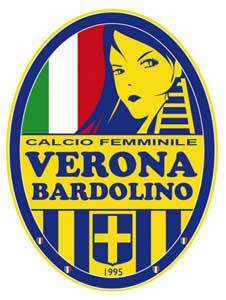 Read more: Gialloblù win derby and Coppa Vicenza. 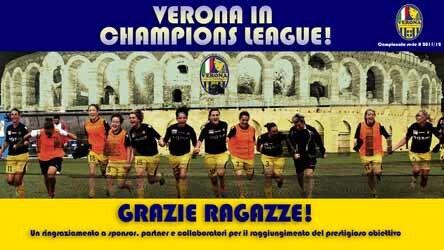 Verona and Padova face each other in the qualifying competition for the final of the prestigious "Coppa Città di Vicenza" which for the first year also opens to women's football. The Verona is presented for this end-of-season commitment with a modified training and some insertions such as the Italian-German Valentina Maceri neo-purchase gialloblù for the next sports season. While it is passing through the archives, with the last training sessions, the 2011-2012 sports season, the Gialloblù club is already preparing for the new year that will see the return of the Veronese on the big European stage. The Scaligeri management is working to set up a training capable of competing in the national and international field. The first new arrival is that of the advanced Italian-German Valentina Maceri, eighteen year old coming from TSV Crailsheim, training of the second Bundesliga. Saturday 2 June, from 15.30 onwards, there will be the third tournament "Let's give a kick to AIDS" at the field of Lovaria. The proceeds will go entirely to support the project: "GIVE LIFE TO LIFE" born by the will of the Sisters of Providence of Orzano in the 1986 have established a medical-social garrison in the village of Kouvè in Togo.Tale project aims to stop the transmission chain of HIV from mother to child. For three years now, Soccer Chiasiellis has been taking part in this initiative with passion and transportation, and this year the team of President Grizzo, the amateurs of Tavernetta and the S.SD Orzano, also join the friends of Football Amatori Lovaria, demonstrating that when there is a beneficial purpose, union really makes the strength. We look forward to seeing you in Lovaria, where a well-stocked kiosk will be active and where there will be football and human emotions.